1. Cardstore Giveaway! 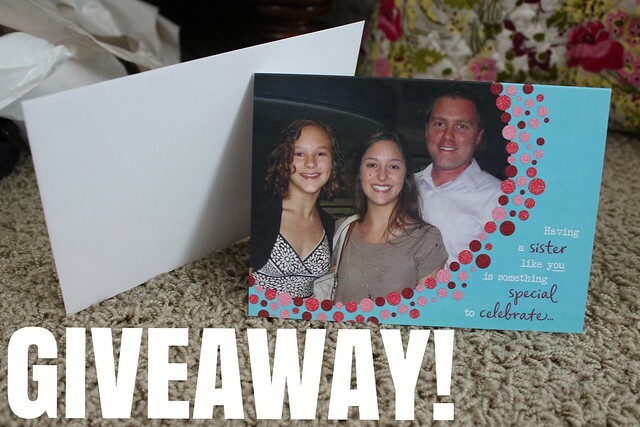 The Cardstore giveaway for a free personalized photo greeting card ends tonight! Do you want an adorable free card? Enter here! There aren't too many entries yet, so if you're one of those people who never wins anything, this could be your chance! 2. Switch Your Feed Reader! Google Reader dies on Monday. So if you're following via Google Reader or Google Friend Connect (or if you're not, but you'd like a nice way to consolidate all of your blog reading), you may want to switch to a different feed reader! I really like Feedly (and it's super easy to switch over), but Bloglovin is a good option as well. I re-did my blog design and layout recently, so if you're using Feedly/Google Reader/whatever, you might want to click over and check it out! I'm kind of proud of it because I did all the html edits and graphic design myself, and I really like the new color scheme! The new layout looks great! Very organized. Have a great weekend!